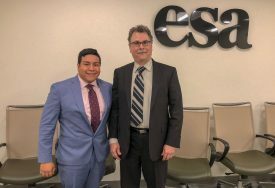 Share the post "Johnny Quispe Selected by ESA as a Katherine S. McCarter Graduate Student Policy Award Recipient"
GSPA awardees representing 10 universities across the country. Johnny Quispe is on the far right. Johnny J. Quispe, doctoral candidate in the Graduate Program in Ecology and Evolution in the School of Graduate Studies, has been selected by the Ecological Society of America (ESA) as a Katherine S. McCarter Graduate Student Policy Award Recipient (GSPA). 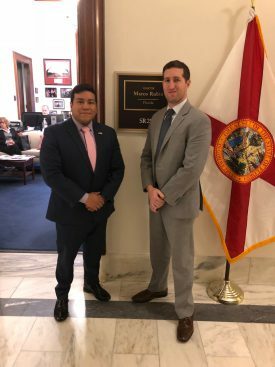 Johnny Quispe with Rutgers grad Wesley Brooks, legislative assistant to Sen. Rubio. Both Johnny Quispe’16 and Wesley Brook ‘10 are former Eagleton Fellows and both from the Graduate Program of Ecology and Evolution. This award provided graduate students with the opportunity to travel to Washington, D.C. for policy experience and training. 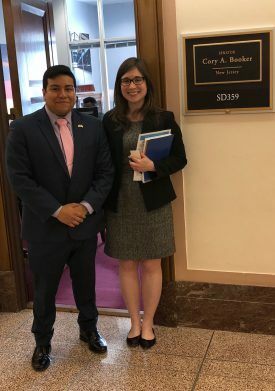 They learned about the legislative process, heard from ecologists working in federal agencies and met with their members of Congress on Capitol Hill. 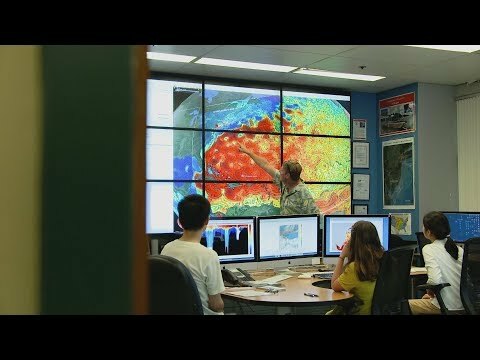 This Congressional Visits Day, organized and sponsored by ESA, offers GSPA recipients the chance to interact with policymakers and discuss the importance of federal funding for science, in particular the biological and ecological sciences. Quispe has been investigating the effects of sea-level rise on coastal wetlands and the vulnerabilities of coastal areas prone to flooding, identifying areas for restoration and flooding mitigation, and quantifying damage from future flooding. He aims to connect and reconnect communities with their shorelines while learning from locals about their coasts’ past; especially in low-income inner cities where communities might not have access to waterfronts and do not have the opportunity to interact with the surrounding waterways. Quispe plans to expand his research into disadvantaged coastal communities by working to preserve cultural identity, fostering sustainable relationships, and inspiring minorities to pursue science careers. His previous work experience encompassed conservation, restoration, and environmental remediation projects in New Jersey in the nonprofit, public, and academic sectors. Quispe earned a Bachelor of Science in international environmental policy, institutions, and behaviors at Rutgers University. Johnny Quispe with the current president of the ESA and former Rutgers Ph.D. graduate Richard Pouyat. ESA’s policy award was renamed this year in honor of Katherine McCarter, who served as executive director of the Society for 20 years until her retirement in January of 2018. Johnny Quispe with Ariana Spawn, legislative aide, outside Sen. Booker’s office. 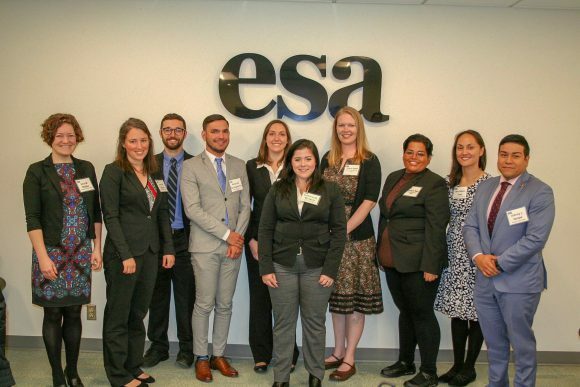 The other 2018 ESA Graduate Student Policy Award recipients include: Aaron W. Baumgardner (California State University, Bakersfield), Stephen R. Elser (Arizona State University), Ann Marie Gawel (Iowa State University), Emily E. Graves (University of California, Davis), Chelsea L. Merriman (Boise State University), Steffanie M. Munguía (Middlebury Institute of International Studies at Monterey), Vera W. Pfeiffer (University of Wisconsin – Madison), Urooj S. Raja (University of Colorado Boulder), and Jenna M. Sullivan (Oregon State University).